String Me Along: How to Keep Her Happy This Christmas. In my continuing attempt to make the holidays a little easier on everyone this year, today I lend my helping hand to the men. Most women are pretty simple to buy for. We want pretty, extravagant things, that frankly, aren't useful... at least in your mind. We always find baubles and smelly things useful. We like to be pampered and to feel pretty. So pay attention, take note, and then get shopping. Don't wait until the last minute. If your lady knows that you actually made the effort to NOT procrastinate this year, she may reward you with the a few extra stops under the mistletoe. First of all, remember that shiny things are always good. Not steak knife shiny... stay with me here. So something that is a little glitzy, and a lot girly is always a safe bet. 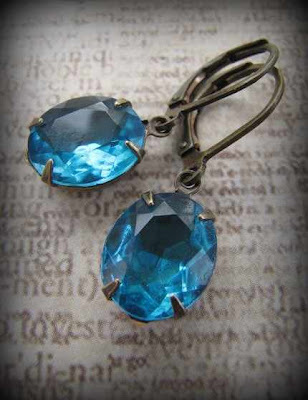 These earrings from nancywallisdesign for example, that smack of old Hollywood glamour would be a welcome surprise under any tree. You could casually mention that they are a beautiful match to her eyes, but for the love of Pete, do this only if she she has blue eyes. Women also tend to tire easily of drab, bulky and shapeless winter coats. 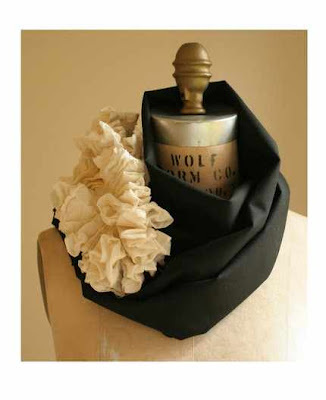 Dressing them up a little is a nice change, and a scarf such as this one by artlab, would be perfect. One thing you should know, is this is the time of year when allow ourselves a little dietary lee-way. Heck, we'll start worrying again in the New Year. In the meantime, feel free to treat us with decadent chocolates. 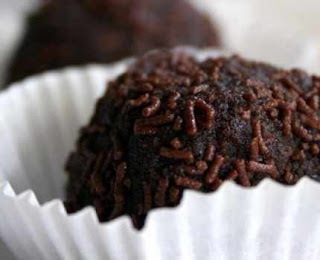 Maybe something like these espresso martini truffles from denisesdelectables. As a special treat, how about a small clutch or wristlet style purse. One that is small enough to hold all that we need for a night out, but small enough too that you have to carry your own wallets, keys, phone, etc. Its the gift that keeps on giving. 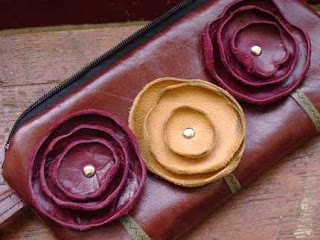 A beautiful example is this leather poppy wristlet from tmStudioDesign. Now for something that is for her, but also mostly for you. From sandmaidensleepwear, this pretty chemise with its soft lace and ruffles may cause swooning. Oh yes, and finally something which you likely already know about us girls... we often have cold feet. 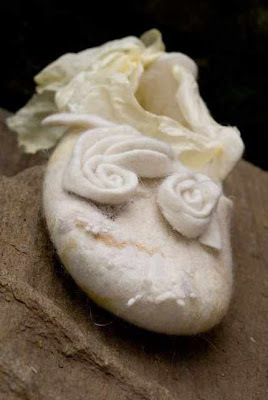 So maybe slippers aren't a bad gift, but be sure they are as pretty as these ones from ing00te. There you are. That was pretty painless. Remember to stay tuned, as we take a look next at what all the cool kids will love this year. Any woman would definitely be happy with one of these wonderful choices! Great blog! My smile for the day. Lovely stuff, Might have to send some hints his way. One of each please. Great choices!